Are you looking for the best baby stroller reviews? You have come to the perfect place. Buying a good baby stroller is not as simple as picking out the first model you see online, or in the baby shop. If you want something that will serve you well for a very long time, then there is a lot that you will have to consider and understand. After all, it’s your baby’s safety, comfort, and happiness that’s on the line- plus your peace of mind as a parent. Below is the ultimate guide to baby stroller shopping. You will get all the information you need on types of strollers in the market, important features and factors to consider while shopping. In addition to the shopping tips, there are also guidelines on how to use and maintain the stroller. That way, you will end up being an expert on all things baby stroller related for a good investment. First things first, you need to understand what is available in the market. To do so you need to know what types of baby strollers there are and who would benefit most from the different designs available. Baby strollers are categorized mainly based on design which in turn determines the unit’s purpose. So without further ado, below are the 5 main types of strollers available on the market today. These are by far the simplest and most common strollers. The design is simple yet practical with plenty of space and comfort for the baby. One of the best things about these strollers is their weight capacity of up to 50 pounds which allows you to use the stroller for a long time as the child grows. They feature a padded seat that is more often than not a reclining seat. The extent of this reclining feature varies from model to model with some allowing you to have the seat flat which is great when the baby is sleeping and others having not more than one reclining position. In addition to the standard seat design, these strollers also include a canopy. This is meant to protect the baby from exposure to harsh elements such as wind, direct sunlight and rainfall. Some models have a peek-a-boo window attached to the canopy that allows you to keep an eye on the little one. Finally, you can also expect plenty of storage with these units as they are not specially adapted for speed or expanded accommodation. They are also usually four-wheeled units. Tandem baby strollers are designed to accommodate two children at the same time. The distinguishing feature with these models is the staircase arrangement of the child seats. This is where a smaller seat is attached behind an ordinary sized seat to accommodate a younger child. The direction in which the seats face varies from model to model with some facing each other, others facing the same side and most facing away from each other with the smaller seat in the pusher’s direction. In spite of this being the identifying feature for the strollers, some have a standing board in the place of an extra seat. In this case, the younger child gets the main seat while the older one stands behind them. This is of course considerably less comfortable for the standing child but is every bit as convenient for the parent or care takers. In general, tandem double strollers are great for families with small children of different ages. The design makes maneuvering through tight or crowded spaces a whole lot easier. However, if the children are of the same age as is the case with twins, tandem strollers are not always the best option. They also require you to upgrade when the child occupying the smaller sit outgrows it. Like the tandem double strollers, these are meant to accommodate more than one child at a time. However, in place of the staircase formation this type of stroller has a side-by-side arrangement. Here, the seats are of equal size, shape and offer the same amount of comfort to the baby. This stroller design comes in super handy for parents of twins or triplets or basically any other multiple birth scenarios. Side-by-side double strollers have one major con. They are cumbersome. This makes pushing them around and maneuvering through tight spaces nothing short of a nightmare. This is the case especially when you are working with standard width doors. 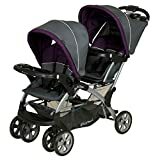 However, if you want a stroller to take your twins out to the park that’s not crowded or an open mall then this stroller type would be perfect. We recently covered best umbrella strollers; these strollers get their name from the umbrella-like handles and the fact that they are collapsible for easy transport and storage. 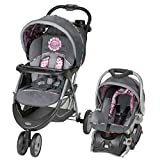 Also known as lightweight strollers, these are great if you are tight on space and you don’t want a huge stroller taking up all your trunk space. In spite of this super convenient design, these strollers are every bit as efficient for you and comfortable for your baby. They feature light but sturdy frames, comfortable lightly padded seats and canopies. With these models, the seats rarely recline as the framework required for this would compromise the ability to collapse the unit. Finally, there are strollers designed specifically to allow parents and caretakers to go jogging, running or power walking with their babies. This is made possible by the shock absorbing systems that allow speed alteration and use on unfriendly terrain without upsetting the child. With this type of baby stroller, the most important feature is the wheel design and material. Most jogging stroller models have a three wheel design where the front wheel allows easy maneuvering and the rear wheels offer support and shock distribution. The front wheel is usually lockable to avoid riveting and bouncing during exercise or use over rough surfaces. In addition to this feature, some models have special rotating canopies that ensure that whichever way you turn, your child is fully covered and protected. They also offer plenty of storage space for you to keep your baby’s supplies and your own workout aids including music players, water and towels. Having understood the different types of baby strollers in the market, it is important to understand the features that matter. What does your baby need? What’s the bare minimum to assure your little one’s safety? Even ergonomics come into play. How easy will it be for you to control the stroller? Every brand and model has its own unique feature or specification that makes it stand out. Will your child be comfortable? One of the best ways to answer this question is by considering the seat’s adjustability features. A seat that offers a wide reclining angle range is always the better option. That way, you can get to enjoy a range of positions from flat during naptime to upright during playtime. In addition to the presence and extent of the reclining seat feature, it is also super important to consider the control mechanism used. You can either have a lever or a knob. Levers are common with seats that have a limited reclining range and usually only allow adjustment to predetermined angles and positions. Knobs on the other hand are commonly used when there more free range of movement. The second very important feature to look very closely at is the canopy. Everything from the design to the material used will determine just how safe and comfortable the ride is for your baby. When it comes to material, you have a lot to choose from including canvas, polyester blends, waterproof polyvinyl varieties and breathable cotton. In this case, it is your priorities and preferences that will guide your choice. However, the waterproof materials are always a great choice for rainy and snowy weather. The extent of coverage is also very important to consider with the baby stroller canopies. Most of the best strollers in the market allow full range coverage that is easy to adjust. Finally, the peek-a-boo feature on canopies gives any model an edge as it is a great way to keep an eye on your child even as you push the stroller. In addition to the reclining capabilities, the seat’s material is important to consider in terms of the child’s comfort. You can always tell a high quality seat from an ordinary one by the padding that is usually firm but not rigid. In addition to your baby’s comfort, the material used on the seat covers is important to consider for cleaning and maintenance purposes. In this case, two designs stand out. The first is the water-proof and stain-proof seat cover material design. In this case, you don’t really have to worry about your child making a mess with their orange juice or drippy snack. The second great design to consider is that of removable and machine washable seat covers. In this case, the mess is easy to make but even easier to clean up making your life a whole lot easier. The amount of space available on the baby stroller is also something very important to consider. A standard stroller has a spacious undercarriage that can fit all your baby’s supplies including extra clothes, diapers and snacks. If you are lucky enough to come across one with plenty of space, you might even get room for your purse or small gym bag. Either way, the importance of space on a baby stroller could not be emphasized strongly enough. This is one of the most important features to consider when you are shopping for a jogging stroller. However, it is just as important with other types of strollers. The type of wheel material matters a lot as it will determine just how well it does on rough surfaces and how long it will last before succumbing to wear and tear. The best in this case are those with a plastic core and a rubber casing. The plastic ensures sturdy support while the rubber protects from effects of continuous friction. The layout on the other hand determines how easy it will be to maneuver the stroller. In this case, the three wheel layout is the best. If you find a stroller without a safety harness then run and hide. Your child’s safety should always be your number one priority when shopping for a stroller. This counts whether you are dealing with a calm infant or a wild two year old who just won’t settle. Once you are sure there is a properly functioning safety belt on board, the next thing you need to consider is harness’s adjustability. This is especially important if you plan on using the stroller for a long time with the same child. Finally, you should look out for harnesses with soft padding designed to protect the baby’s chest and abdomen in case of sudden forward jerking. These two features are what will help determine just how smooth the ride will be for you. A good stroller will have grip-reinforced handles that are ergonomically friendly. Some models even go the extra mile by providing heated paddles and easily accessible controls on the handle for everything from MP3 playlists to canopy coverage control. The best baby stroller models also have emergency brakes as a part of their amazing features. These come in handy when walking on steep slopes where you need extra help maintaining control. Finally, you need to consider the frame’s construction. The design determines just how large the model will be and how easy it will be to use. If you are looking for something collapsible, then this is the feature to look out for. The materials used on the other hand determine the unit’s weight and the entire stroller’s durability. Aluminum is the material of choice for most baby stroller frames. This is because of its resilience even when exposed to potentially corrosive elements such as water and sunlight. Aluminum also provides the perfect combination of light weight nature and strength which makes it perfect for baby strollers. The next and final step is the actual selection of the best baby strollers. Below are a few factors to consider in order to ensure that you make the right choice. While shopping, it is always important to have a price range in mind to avoid spending too much on stroller features you genuinely do not need. It is also very important to figure out what out want and what models on the market best fit the description. This will help ensure that you get a great deal for a stroller worth every penny and then some. This will help determine the type of stroller that you settle for. For example if you want one to tag your baby along on your park running trips, then jogging strollers would be ideal. The warranty offered by the manufacturer is another very important feature to consider. This is because you never know when you might need some replacements or repairs done on your unit. 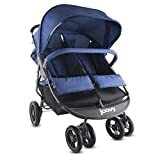 The warranty period is also usually a great indicator of product quality where strollers with a longer period tend to be stronger and more durable. 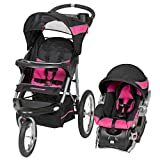 One of the best ways to get an idea of what you have to look forward to with each model is by going through reviews and ratings by people who have actually used the baby strollers. This will allow you to understand the different strengths and shortcomings of the stroller model allowing you to make a more informed decision. In this case, you need to consider the 9 important features described above. These determine whether the stroller is safe and comfortable for the baby, easy and convenient for you and strong enough to last for a very long time. These help sweeten the deal for those stroller models that meet all your requirements. These include features like color, MP3 compatibility, handle warmers, cup holders, peek-a-boo units and many others. So you bought the baby stroller. Now what? – The first thing you need to do is to make sure that the unit is safe for your baby to use. If you are working with adjustable safety harnesses, you will have to find the right length for your baby for the combination of safety and comfort. – In addition to finding the right length, you might want to add a few cushions especially around the head and neck for added support and protection. This is the case especially with newborn babies who are yet to gain full independent head and neck support. – When the child is using the seat, it is advisable to frequently change the seat’s reclining positions. This ensures safety of the baby’s health and development progress by allowing stretching. – Ensure that if the seat is to be used in a reclined position that the knob or levers are fixed to avoid damage to the system or injury to the child as a result of exposure to sudden movements. – Finally, it is important to ensure that the brake system is working perfectly as a part of the safe guarding process. If you wish to keep your baby stroller serving you efficiently for a very long time then you will have to keep it clean and run regular maintenance. Below are a few tips to make these two a lot easier for you. – Remove and clean machine washable covers on a regular basis. – Clean messes off waterproof surfaces as soon as possible to avoid stickiness and attraction of dirt. – Make sure to dust, aerate and wipe the canopy’s interior and exterior surfaces on a regular basis. – Oil the wheels to ensure consistently smooth running. – Repair or replace damaged units as soon as possible. Waiting too long might cause both you and your baby a lot of unnecessary problems. A baby stroller travelling system is basically a baby stroller that is designed to also double up as a child car seat. The baby travelling system comes in the form of a corresponding car seat that can be detached from the stroller unit and fastened onto a car seat for the child’s use. These are the epitome of convenience and economic efficiency as far as child travel is concerned as you don’t have to worry about buying a stroller and a car seat separately. Below are a few pros and cons of investing in such systems. 1. It costs less than buying a baby stroller and child car seat separately. 2. They are easy to use. 3. They are convenient as detachment of the car seat usually leaves an easy-to-store frame and base seat. 4. They allow you to move the child into and out of the car without upsetting them especially when they are asleep. 5. When attached to the stroller, the car seat unit usually faces the pusher allowing easier monitoring. – With time, you will have to invest in a new separate car seat as those on the baby stroller travel system are designed to fit small children of less than 30 pounds such as infants and newborns. With all this information, it is safe to say that you have all you need to make a wise decision while shopping for a baby stroller. Just remember that the most important thing is to understand what you want and where to find it. It is also important to understand your preferences and weigh them against your priorities so as to ensure that you get a stroller that both you and your little one will enjoy using. So whether you are a first time parent looking for your first baby stroller, or you are simply looking for an upgrade, the tips and guidelines will have you well on your way towards a successful shopping trip.